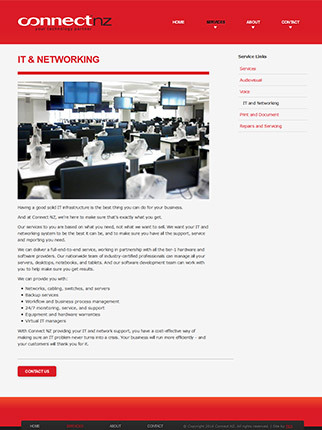 ConnectNZ provides technology services to New Zealand businesses, such as IT networking, technology leasing and warranty repairs. 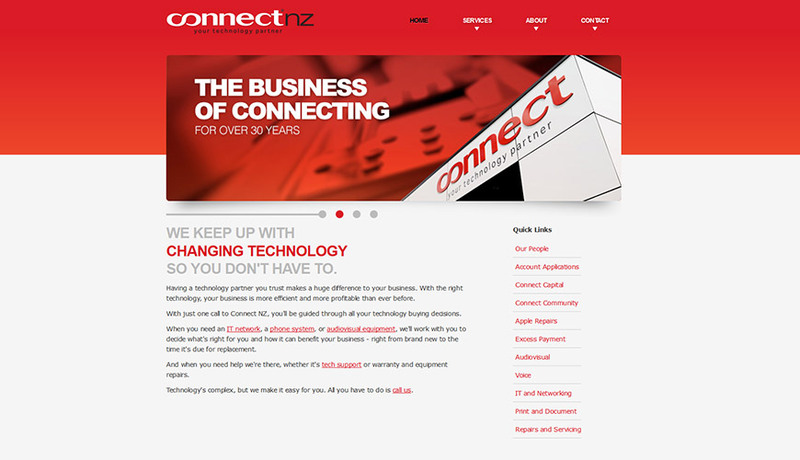 I worked on this project with PAN Media, who developed the website, to give site visitors a sense that ConnectNZ is a partner for them, a company who can help them get the most of their technology, and a friendly bunch of people to work with for businesses large and small. First on the list was a call to the company’s CEO to really get to grips with what ConnectNZ offers and what service they aim to provide. This is always a great way to get some intel about the company – often a CEO who’s passionate about it will give you whole phrases you can lift and use! In this case, it helped give me an insight into the problems prospective clients might face, and how ConnectNZ makes those problems go away. Everyone was happy, always a great end result. Because I had to write the copy for the featured content after the design was finalised, I used Webmaster Tools on the staging site to check that the copy would look and feel right in situ. It was the first time I’d done this and I haven’t looked back – it was a fantastic thing to learn.